Let's be real for a second. If you are an influencer or simply an Instagram user who curates their feed, you likely view your world through an Instagram lens. It's kind of an eye rolling thing but it's a way of life now. Savannah and I often make a mental note and sometimes a real note if we see a place that would be a great place to take a picture. We prefer locations that are multi dimensional (i.e not a mural to stand in front of) and that have color and texture. 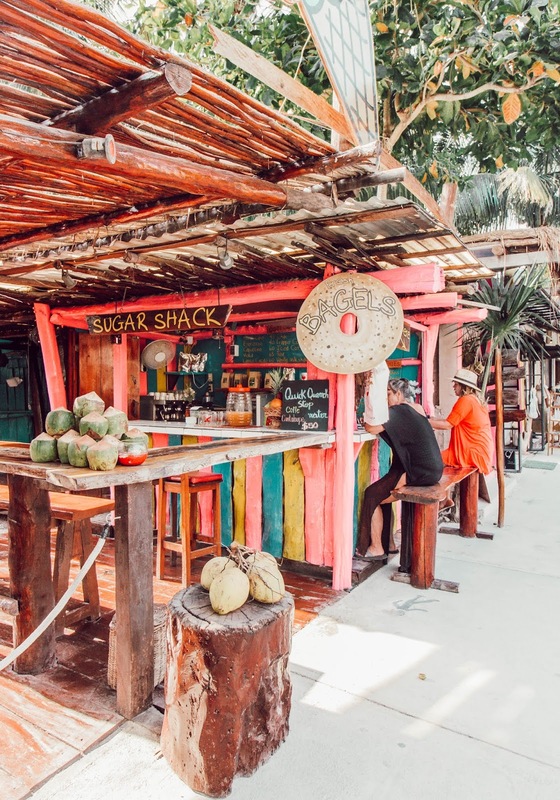 The great thing about Tulum is that is all photogenic. **A friendly note about photo taking etiquette- you'll notice that a lot of the places we recommend are businesses of some sort. Please keep that in mind. I'm sure it goes without saying, but if you are going to take pictures in a restaurant or cafe- please buy something and be as respectful as possible. 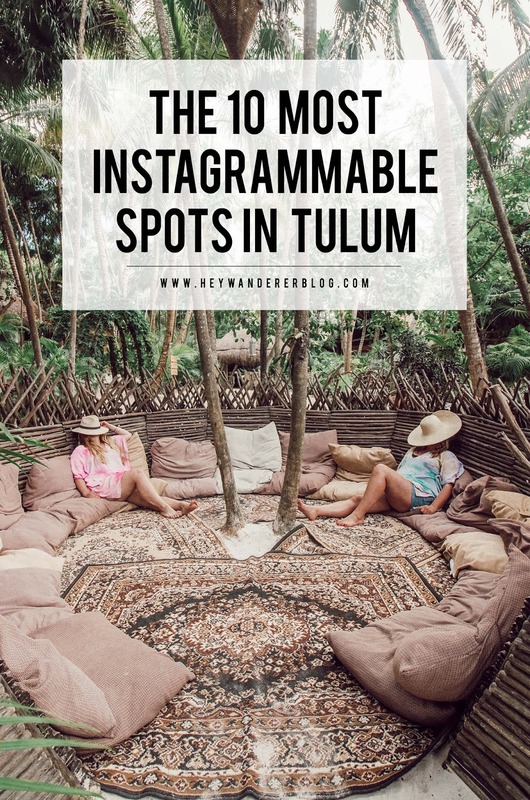 With that said, if you are visiting Tulum here are 10 of the places we found most IG worthy. 10. Nicte-Ha Cenote // If you read our last post about Tulum you will remember that we found out about this cenote from one of our servers. He told us there were flowers in the water so we nixed our plans for other popular cenotes to go here. It was peaceful and not crowded- we were literally the only people there the whole time we stayed. There were tons of beautiful fish and the water was crystal clear. 9. 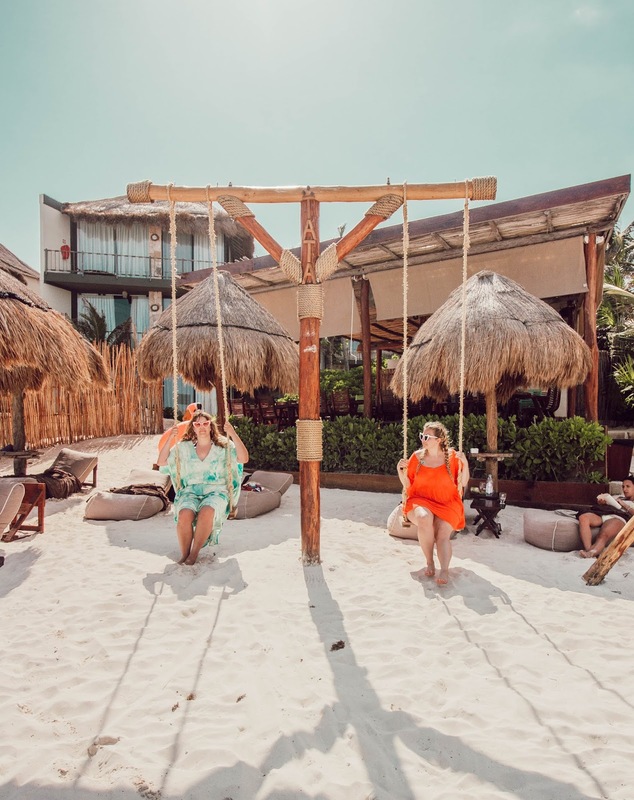 Tata Tulum // Beach side swings + pool with an ocean view + colorful animals floats = Instagrammable. Oh and they have a beach side hammock as well. 8. 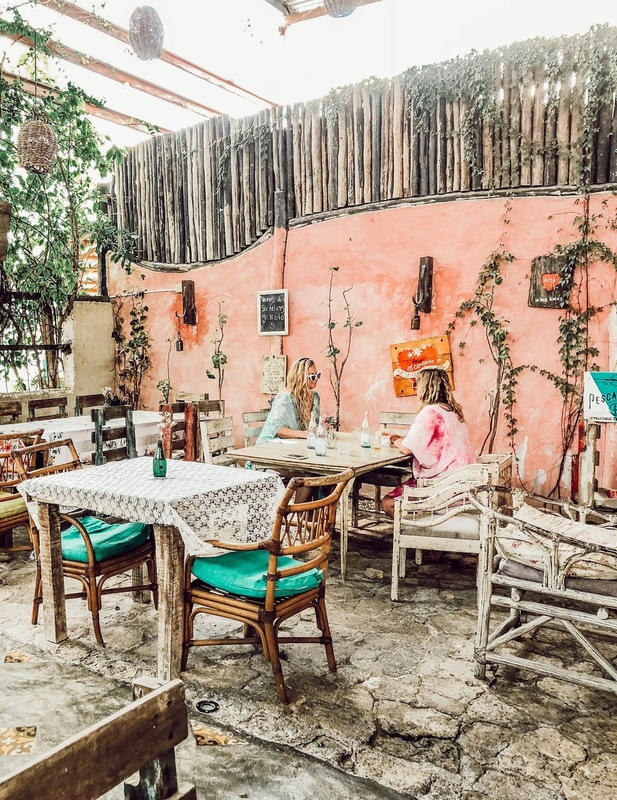 Estancia Jujeña // As I'm sure you know by now, we love all things boho. 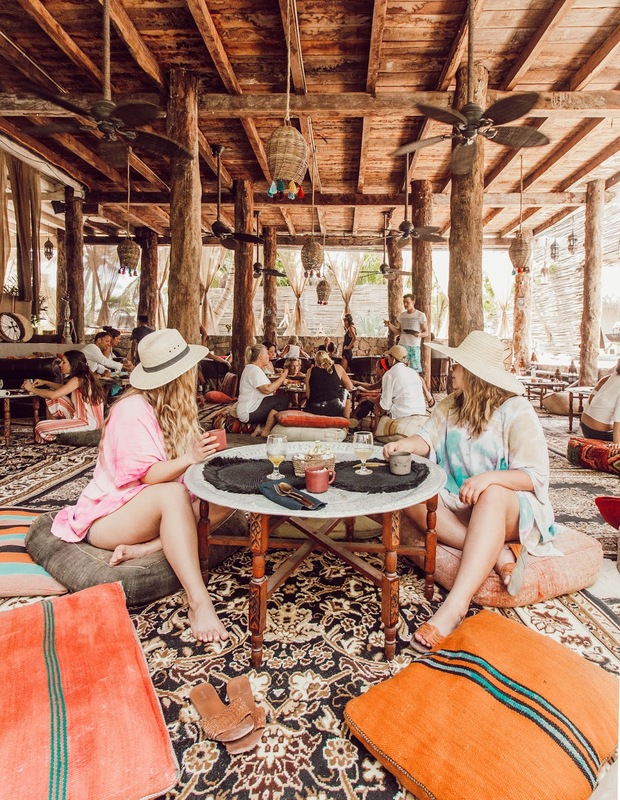 But we love that Estancia was a little different from the majorly boho Tulum vibes. This restaurant has more of a colorful shabby chic old world thing going for it. All the different colors, textures, and plants make it the perfect place to snap a picture. Also, they have beautiful colorful plates and cups that make a nice addition to your pictures. 7. 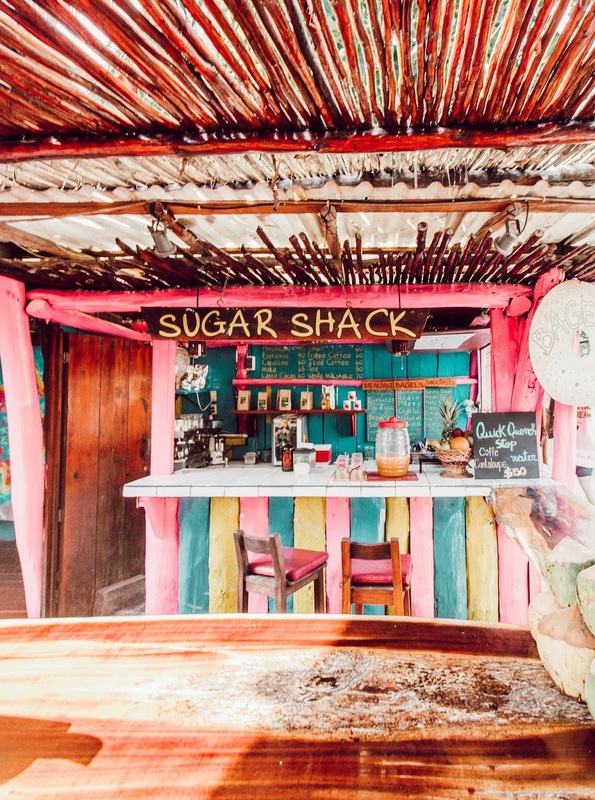 Sugar Shack at Mateo's // Most of Tulum is muted colors which we do love, but Sugar Shack is a break from the norm with it's brightly colored exterior. These bright colors and ice cream comes make for a great set up for an IG picture. 6. 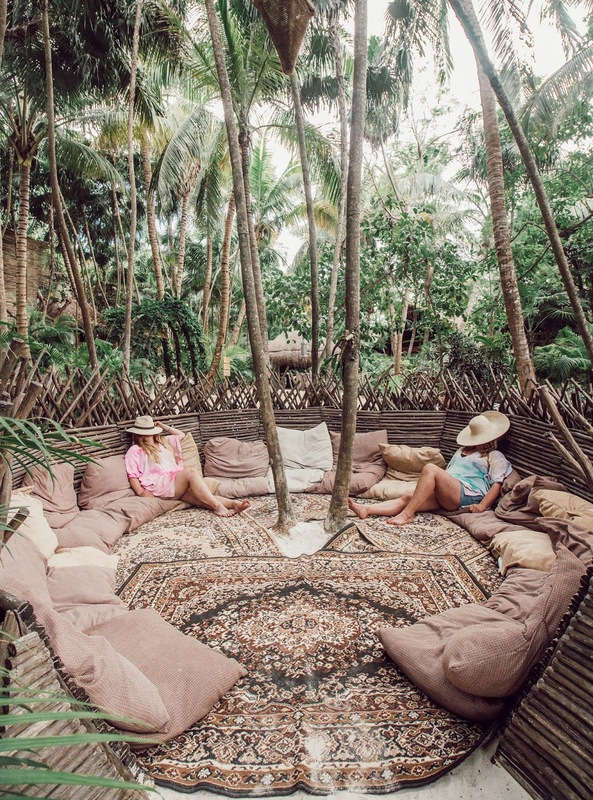 Coco Tulum // This is where we stayed on our trip last year and we did not struggle to find IG worthy backgrounds here. They have an all white bar on the beach with swings which makes it a great place for a picture. 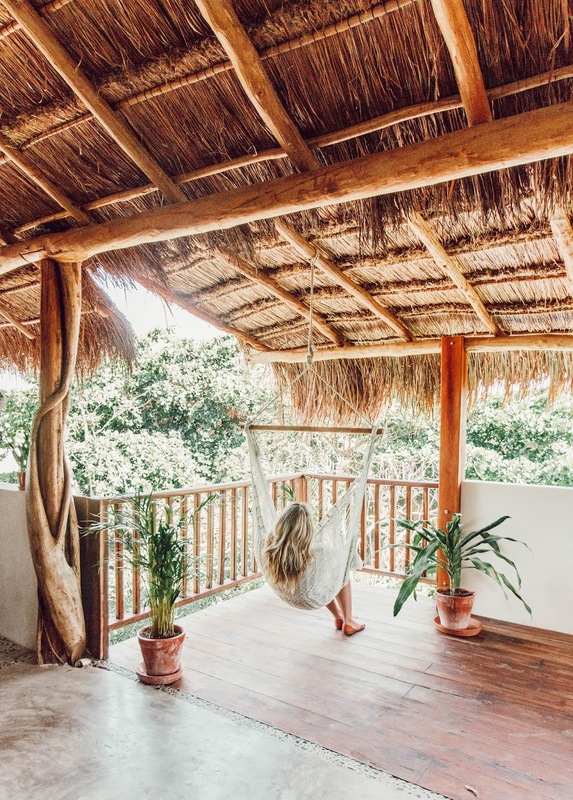 They also have hammocks and jungle views that are picture worthy as well. 5. 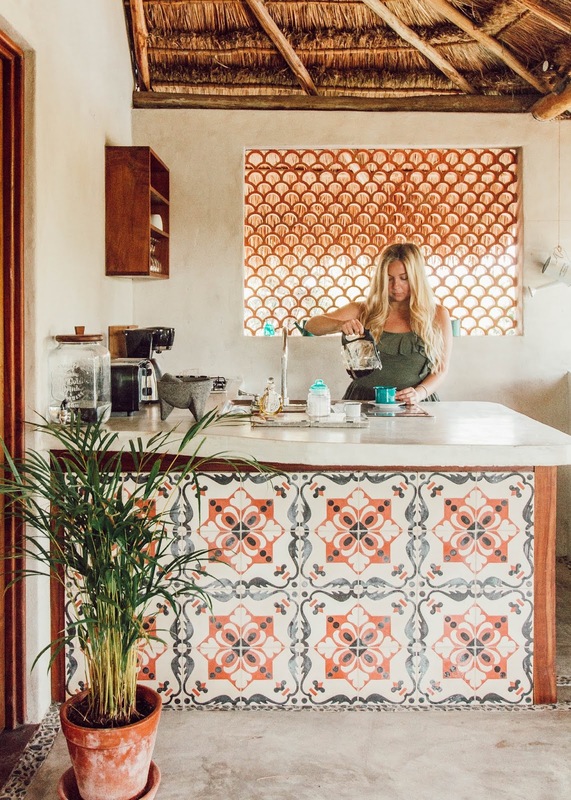 Anastasia Tulum // This is an Airbnb so you'll have to stay there in order to enjoy this Instagram delight. Our pictures from here always perform so well on our Instagram account and Airbnb reposted one from last year. 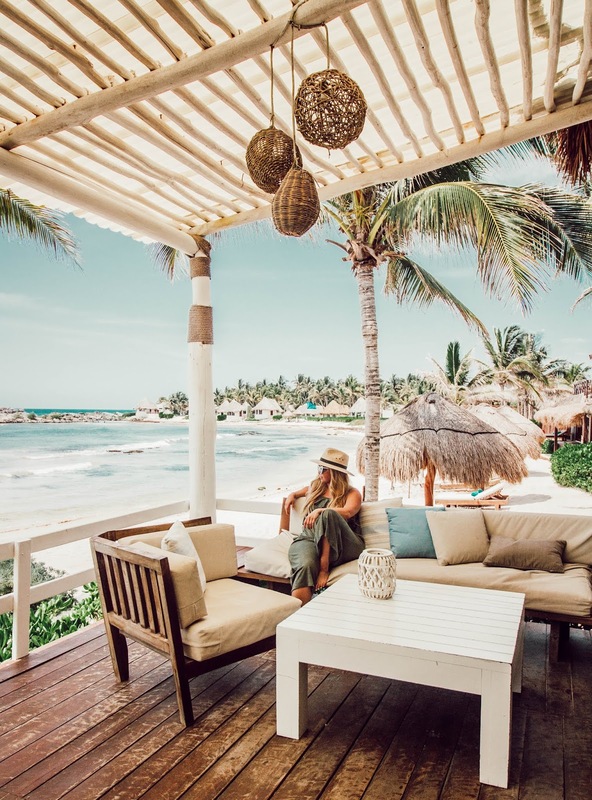 That picture was one of the top 10 most liked pictures on Airbnb's entire account. Airbnb has also asked to repost another picture from this years trip. This place is IG gold. Never stayed in an Airbnb before? 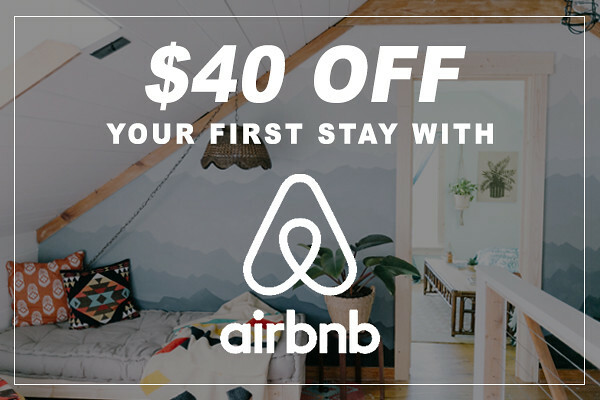 Click here for $40 off your first stay! 4. 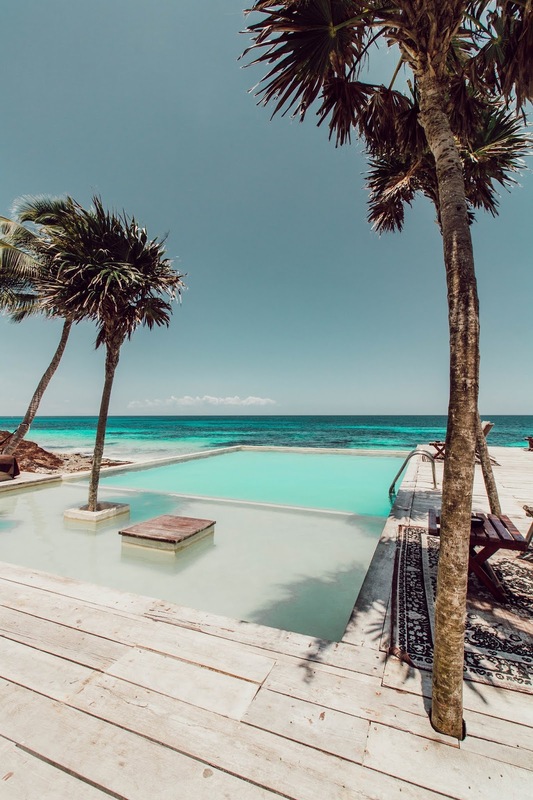 El Pez // This is one of our Tulum favorites. We visited twice this trip and 3 or 4 times on our last visit. 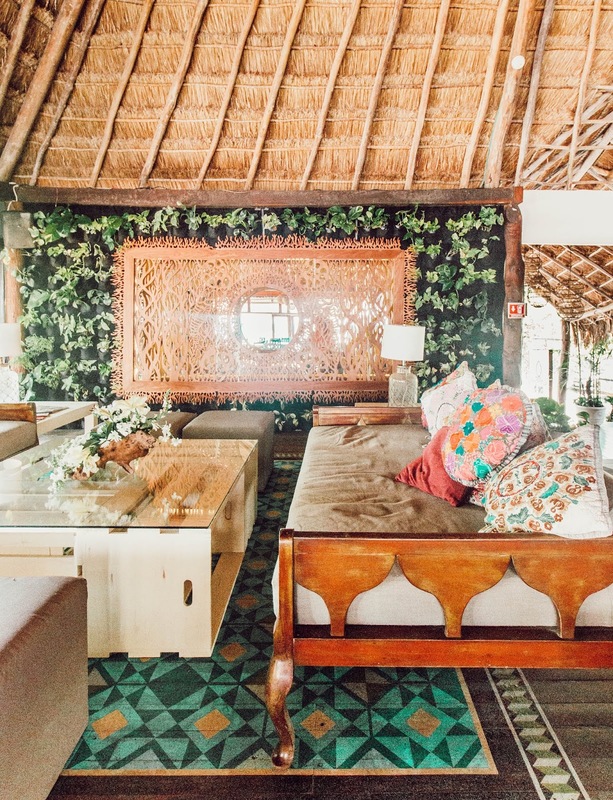 The outdoor patio looks onto the ocean and it's decor is beachy + boho. They also have dishes worthy of an IG picture. Their inside is gorgeous as well. 3. 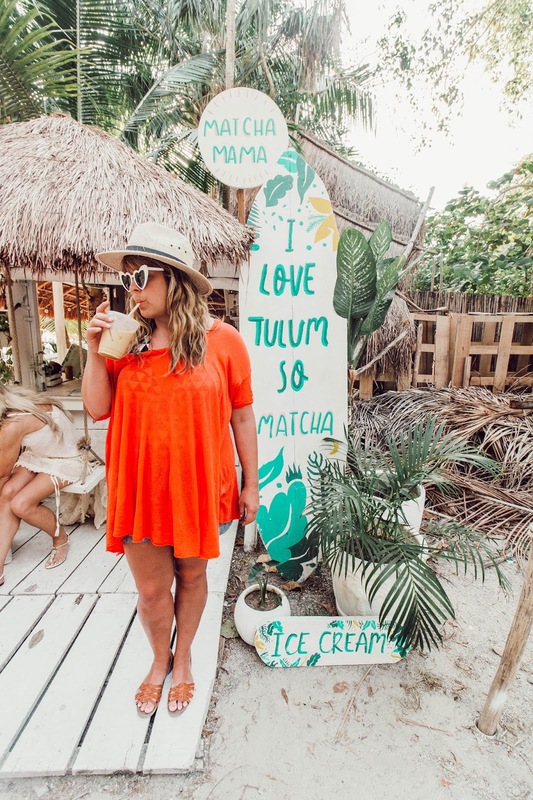 Matcha Mama // This might be the most Instagrammed spot in Tulum, well at least this year. We actually couldn't take the picture we came to take because another woman was there having a full on photo shoot. I also feel like the workers expect it at this point. 2. 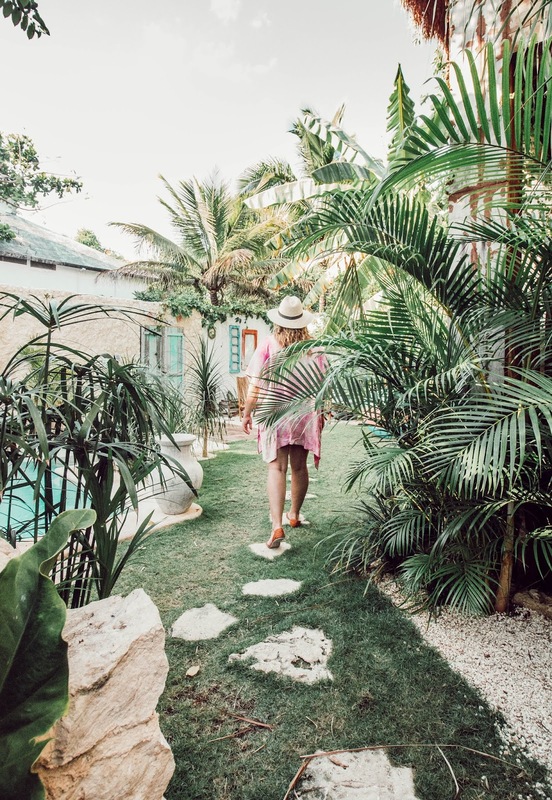 Habitas Tulum // That first picture speaks for itself. 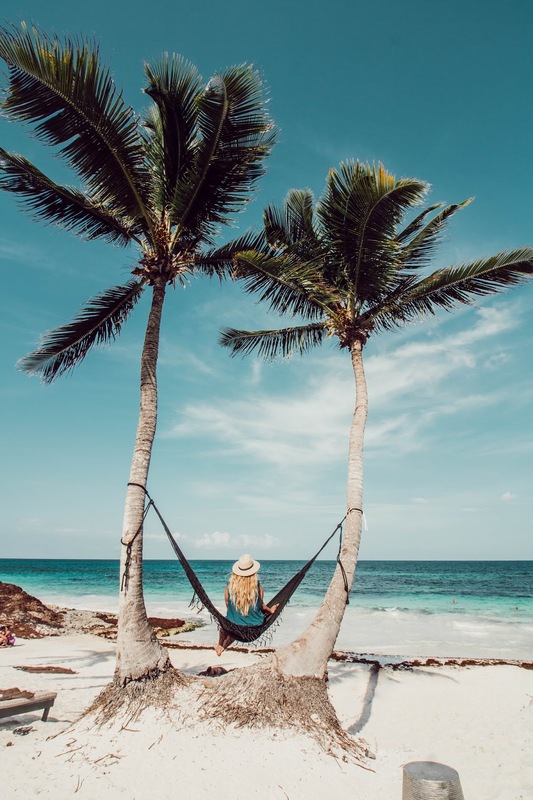 The two palm trees with the hammock against the backdrop of the turquoise ocean- begging to be featured on Instagram. 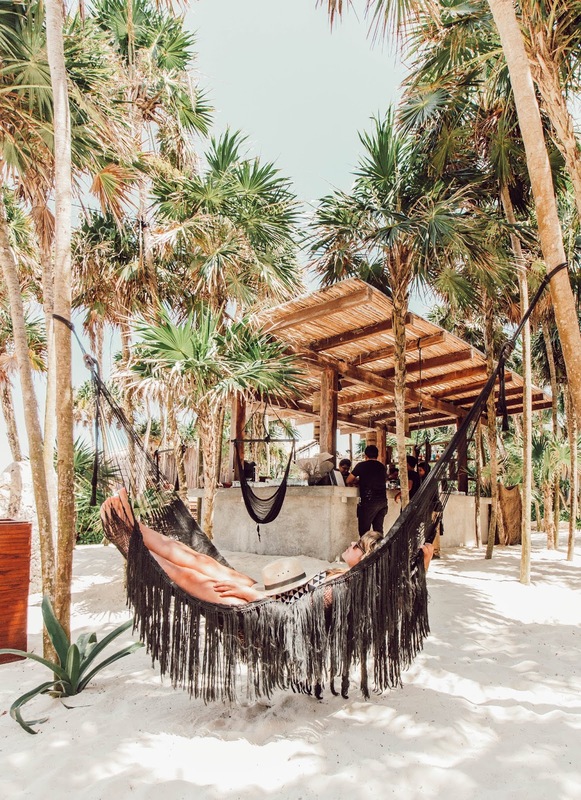 They have black hammocks everywhere which is different than the normal white hammocks you see the most in Tulum and I love the way they look against the sand. Also, the pool with the ocean view. All of these are perfect backdrops for Instagram. 1. 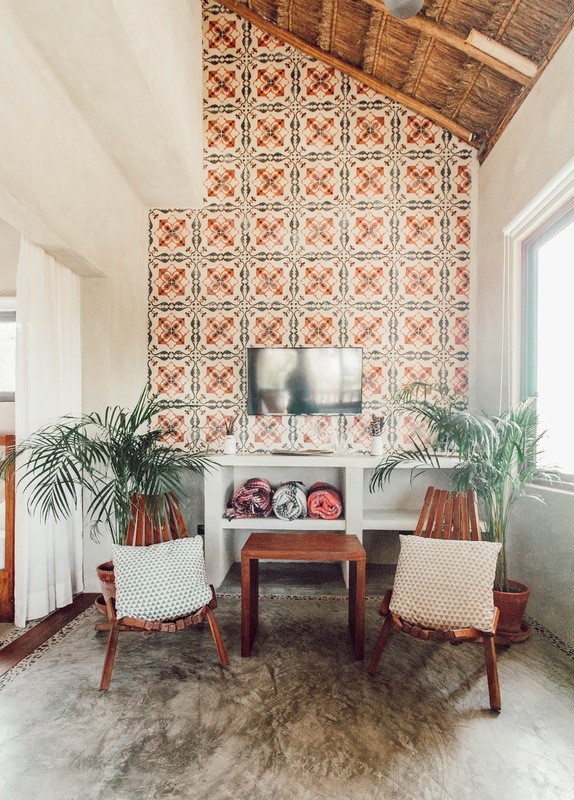 Nomade Tulum // Every nook and cranny here is photo worthy. They have the nest (second picture) which is settled right in the jungle. Then there is the restaurant- swoon. Basically, I want to redecorate our entire home to look more like this. Who needs real chairs? We'll be sitting on poufs from now on! We have a huge picnic table outside and I told Savannah that we need to cut the legs short and just put poufs all around it. The other bonus of Nomade is that there were other people snapping pictures so we didn't feel like "those people." 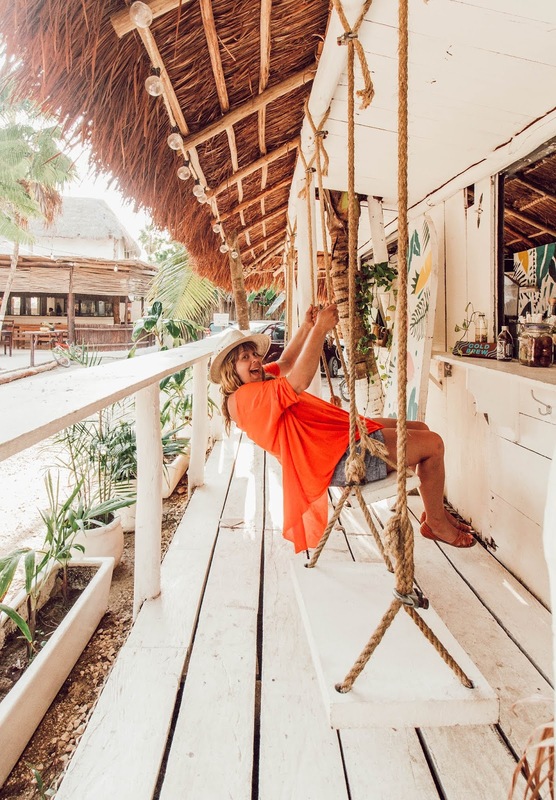 Like we said before, all of Tulum is so beautiful and decorated to perfection, so this list could go on an on. 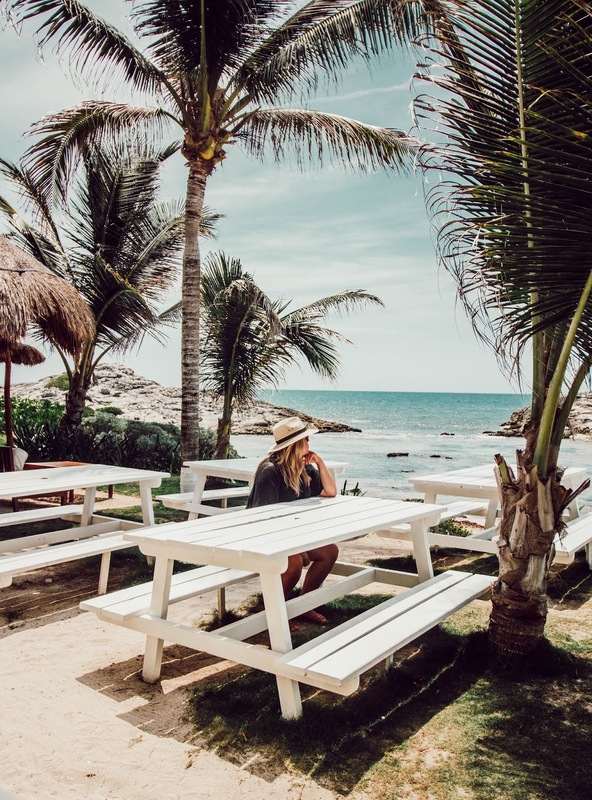 We hope this helps you figure out where you want to go on your trip to Tulum! Did you guys hold your breath the entire time? The smell was unbearable! I was sorely disappointed we couldn’t enjoy the beaches because of the seaweed and the awful smell. The seaweed was bad the first 1-2 days we were there and then it cleared out. We also realized the seaweed was worse in some parts than others. The seaweed wasn't as big of problem the years I had gone before. Hopefully this isn't going to be an ongoing problem because the water is usually clear blue + beautiful. love this!! I miss tulum SO much! !